Classic car owners are often extremely proud of their vehicle and typically spend lots of time and money making sure their cars can look their absolute best. When buying classic vehicle insurance, owners typically enjoy a massive saving compared to non classic classic motors. To take advantage of the reduced classic vehicle insurance premiums your car only needs one requirement. It must be 25 years old or more to qualify for classic car insurance. However we have noticed some variation by some insurers and their is no fixed scenario. In terms of road tax. According to the Uswitch webite, HM Revenue and Customs define your car as a classic if it’s value is greater than £15,000 and is 20 years old or more. If in doubt give your insurer a call. On top of cheap classic car insurance depending on how old your car is; you could benefit from not having to pay for a tax disc and not having to get your car Mot’d. To get a nil qualified Tax disc your car would need to be manufactured on or before January 1976, see the gov.uk website for further details. If your vehicle is this old then it’s typically classed as an historic vehicle. If your car was manufactured before 1960 then you can also benefit from not having to MOT your car (visit the gov.uk website for more information). Although it is recommended that you get your car inspected from time to time to check everything is working as it should and the car is in fact structurally sound. Some of the more enthusiastic classic car owners, especially the ones that will normally turn up at conventions and motor shows don’t drive their car many miles at all during the course of the year and your estimated annual mileage should be taken into account when filling out the online classic car insurance form. Remember that even if you only take your car out a few times in the year, such as on nice sunny days, that under the new laws called continuous insurance enforcement or CIE for short, it’s now a legal requirement to have your classic car insurance active at all times. The only scenario when this is not the case is detailed below. If your classic motor doesn’t get driven at all because it’s a show piece or because it’s being repaired or restored then you won’t be taking it on to the public road at all. In this case you would need to apply for a Statutory Off Road Notification. Once you have this, your classic car insurance and road tax will no longer be a mandatory requirement. Can I Save Money On Insurance? This is probably the most important factor for a lot of people and understandably so. When searching the web you will see many providers that specialise in classic vehicle insurance. Because of this many people think that they are naturally going to get some kind of secret special rate reserved only for this special elite and this is typically when many of the insurers will spout in their literature. However it is worth mentioning that many of the mainstream insurers also cater for classic cars and I you may be pleasantly surprised to find they they could even be cheaper than these specialists classic vehicle insurance providers. One of the best ways to find out if you could save money is to use one of the classic car insurance comparison services available, such as the excellent comparison service provided by Seopa by clicking here. To sum it up, their is no singular answer to how much it will cost but from our research at the time of writing your likely to pay less than any modern day counterparts for your classic motor insurance, due to the reasons mentioned at the beginning of this article. For additional information on the reasons why you can view this excellent article provided by the This Is Money website. Is The Cover The Same? For the most part your going to get a relatively similar cover for a classic vehicle insurance as you would for a standard car when insuring comprehensibly. Their are however some important factors that you need to be made aware of. With many specialist classic car insurance providers their is usually a 7500 mile limit put in place. Using the comparison service provided by Seopa on this website, you can enter whatever mileage you estimate you will cover during the year. If you think your going to exceed your mileage limitation for whatever reason then get back to your insurer to see if you can amend this limitation. Hiring your car out to others for special occasions such as weddings or birthdays will require you to get additional cover. This is due to you effectively using your car for commercial use. Most policies don’t include hire and reward as standard, so you will need to check this if needed. your vehicle better than any classic vehicle insurance provider. To help you confirm the true value of your vehicle and to help make sure that you don’t just get paid a standard market value in the event of a claim, we highly recommend you get a recognised industry expert to validate the true value of your vehicle. Yes it will cost you but it may very well be worth it to ensure you get paid out correctly, in the event of a claim. Be sure to review the value of your vehicle every year and also don’t accept the quote your existing ensurer gives you for the following years classic car insurance. Instead come back here and get a new comparison done with the Seopa car insurance comparison service every single year to ensure you get the very best quote you can. Just be sure to follow up with any new insurer to make sure they understand your cars true value and cover you for that value. You also need to be aware that for a typical classic car insurance policy you won’t be building up any no claims discount due to you usually paying a flat rate for your cover. Be sure to check with your prospective insurer for clarification in this area, as many the policies compared using the Seopa Comparison service on this site, are not technically classic car specific and might give you a no claims discount, particularly if you use the car on a regular basis. If you go to enthusiast events and rallies you will need to check to make sure your covered for this. Make sure that your covered if you decide to take your car overseas. Many companies will just tag on this as an extra if it’s not included in your policy as standard. Check your covered for the correct valuation. Check your covered for your required annual mileage. Check if your hiring your car out for special occasions that your covered for this commercial use. Check to see if you will accrue a No Claims Discount for your set of circumstances. Check to see if your covered for attending events and rallies. Check your insured for taking your car overseas. While the above is not an exhaustive list don’t be afraid of opening your mouth if something is niggling away at you and you want the reassurance of your classic car insurance provider confirming that your covered. Pay close attention to your policy details and your policy booklet provided. Followup with your insurer if something is omitted that you expected to see. What If I’m A Young Driver? Most of the time when people think of classic cars you would usually think that only an older driver might want to drive one. However it could be good news for you if you are young and are considering purchasing a car with classic status. In our research at the time of writing we have seen certain classic cars come in up to £200 cheaper than a modern low powered equivalent ( for example when comparing a 1977 Mini Clubman with the modern day BMW Mini Clubman equivalent) . While this will vary from car to car, and individual circumstances you could be pleasantly surprised by what classic car insurance quotes you receive. Our advice would be to check the classic vehicle insurance price of a prospective car before purchasing the vehicle itself. Use the form supplied by Seopa on our site, to see if you can get cheap classic car insurance for young drivers. This way you will have the knowledge upfront of the sort of price you will be paying for your classic vehicle insurance should you decide to go ahead with the purchase. This will enable you to better manage your overall motoring budget, which is a major factor for lots of young drivers. Many of the aspects of classic car insurance that could be seen to bring down your cost are the same as for standard cars and additional tips can be found on our Very Cheap Car Insurance home page. 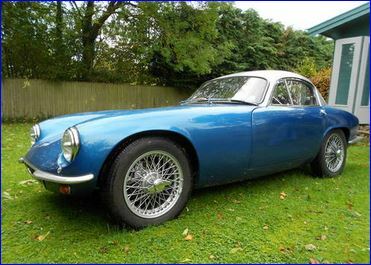 As an additional resource you may want to check out this site which specialises in classic cars, including classic cars that are currently listed for sale, which could provide additional helpful insight when researching classic car insurance. I hope you have enjoyed reading our guide, if you have a classic car or your considering purchasing a certain classic car that you’ve had your eye on. Why not compare quotes and see if you could save big on your classic car insurance!